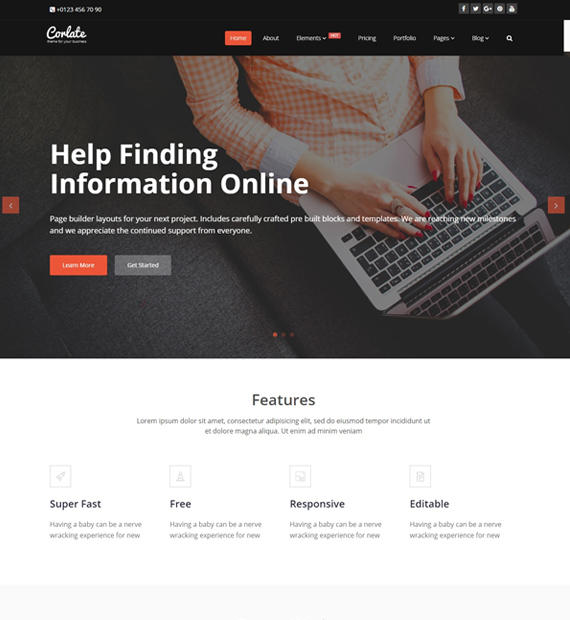 Corlate is a free multipurpose WordPress business theme that you can use for any type of business website with the inclusion of page builder support. This theme features a lot of customization options that you can use to increase the functionality of your website. It is the perfect solution for your business and corporate solution if you want to create a business or corporate website. This theme also has page builder supports. So, you can also add and create professional web pages for your website with the help of this theme. This theme also features a mega menu through which you can show the menu options in a smart way.